1. Jon White/Ryan Stillman – The rich get richer. The rest of the league let out a collective groan when Jon and Ryan won a nine-way shake for Hidden Scroll. He joins a roster that is already loaded with War of Will and Improbable. 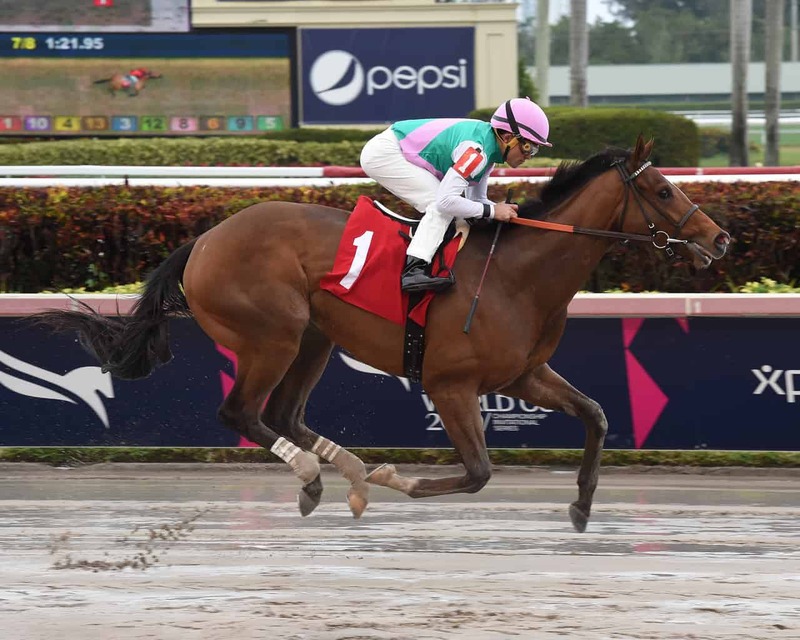 They will also have a runner this weekend when Trophy Chaser enters the Grade 2 Holy Bull Stakes at Gulfstream Park. 2. Mike “Saratoga Slim” Spector – Having Instagrand on his team is the big positive for Slim. This horse could be a superstar, which is always going to keep this team in the game. 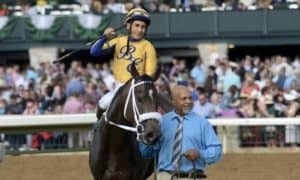 This week, we’ll see if Kingly can win an allowance race at Santa Anita Park on Thursday, while Federal Case will be taking on a solid field in the Grade 2 Holy Bull Stakes at Gulfstream Park. 3. Dan “Wise Dan” Waite – Last year’s loser continues his solid turnaround, claiming Win Win Win this week. His stable of horses looks pretty legit, now we just need to see them all in the starting gate. He should be loaded over the next few weeks, which is good, because he is currently ninth in terms of points. 4. 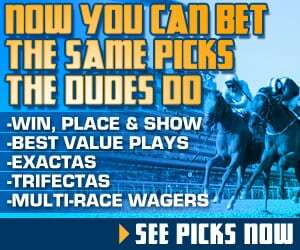 Patrick “Mad Dog” Meagher – It’s another quiet week for a team that has several horses gearing up for races. 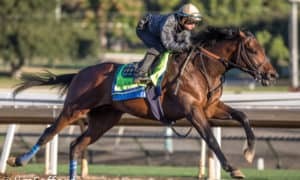 Every horse in his stable is working out consistently, which means that we should see all of them in the coming weeks. We’ll soon have an idea of what this team is all about. 5. 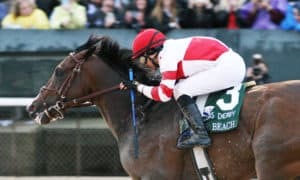 Aaron Halterman – The lackluster, yet not terrible, trend continued last weekend when Long Range Toddy was a close second in the $150,000 Smarty Jones Stakes. Bankit was not as good in the race; however, Oaklawn Park favored speed horses all of opening day. 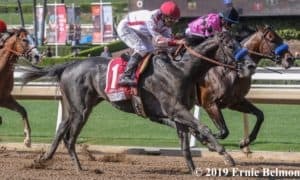 This week is huge for the team as Mucho Gusto and Gunmetal Gray are both poised to start in the Grade 3 Robert B. Lewis Stakes at Santa Anita. 6. Jared Welch – A big win by Gray Attempt last week has Team Welch in better spirits. There is still some work to do, though, if he wants to repeat as champion of the league. This week will be fairly quiet for him, but the coming weeks will be where we find out what direction this team is going to go. 7. 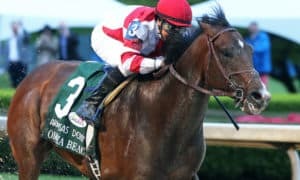 Brandon “B$” Bauer – We’ll see if this team can start to pick up in the action department this weekend when Global Campaign runs in the Grade 3 Swale Stakes at Gulfstream Park. 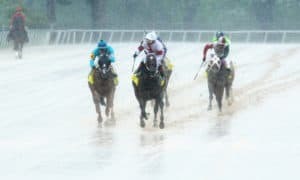 This is not a Kentucky Derby Prep Race; however, it could lead to one if he runs well. The team also picked up So Alive this week, who could run in a prep race soon. 8. Paul “Free Beers” Withrow – Free Beers fell to 0-5 in the claiming department this week. 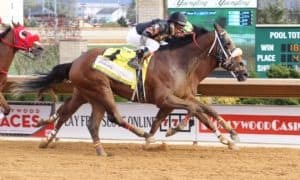 He just can’t buy a break right now, and he also took it on the chin last weekend in the $150,000 Smarty Jones Stakes when Super Steed failed to show up. However, he could rebound this weekend if Come on Gerry runs well in the Grade 2 Holy Bull Stakes. 9. 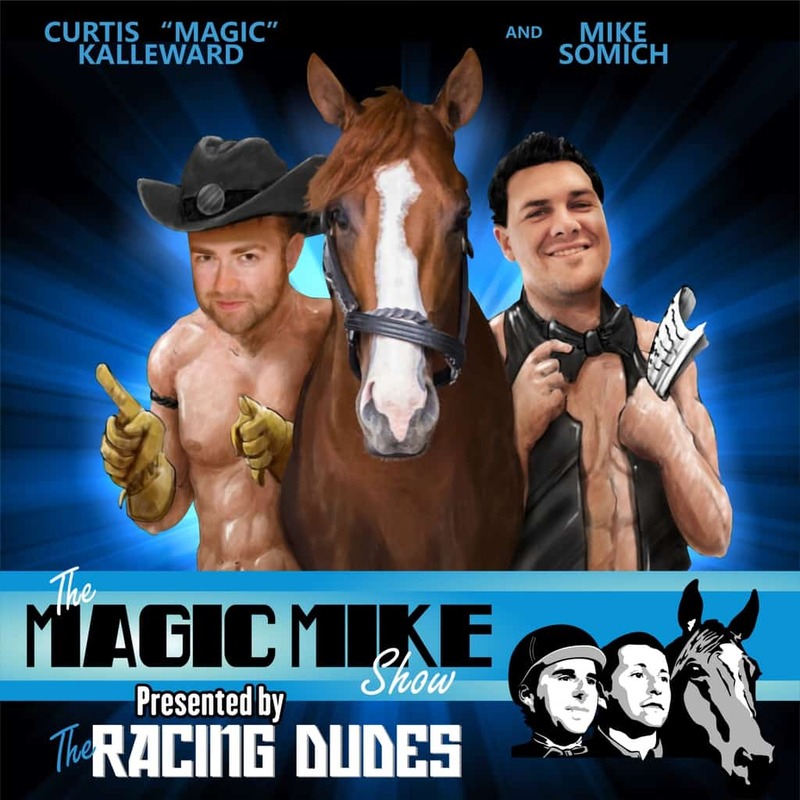 The Magic Mike Show – This could prove to be a pivotal week for the Magic Mike team when Moretti runs in the Grade 3 Withers Stakes at Aqueduct. The tea has had no luck in the claiming department, now sporting an 0-4 record, so the current members of their team need to start winning. 10. The Fans: Austin and Bones – The Fans sit in last place all by themselves this week in the standings. 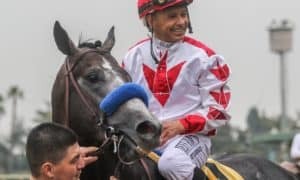 The team could climb out of the cellar this weekend, though, with help from Mihos running in the Grade 2 Holy Bull Stakes at Gulfstream Park. Big Scott Daddy will also run Thursday at Santa Anita in an allowance race featuring several Derby Trail prospects, including Kingly. The team needs big success from those horses this week.